Air freight, sea freight or land transportation: Our employees can design, organise and monitor your supply chain. The major benefit for our customers is that they have greater freedom to concentrate on their core business. 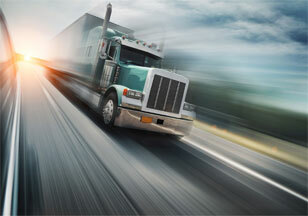 Clear Group Logistik gives its customers a clear value proposition – you are at the focus of our activities. We are there for you, please contact us. 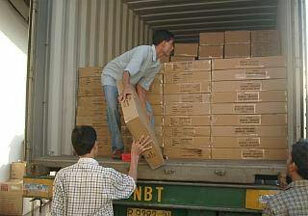 Goods imported in a vessel/aircraft attract customs duty and unless these are not meant for customs clearance at the port/airport of arrival by particular vessel/aircraft and are intended for transit by the same vessel/aircraft or transshipment to another customs station or to any place outside India, detailed customs clearance formalities of the landed goods have to be followed by the importers. The customs clearance formalities have to be complied with by the importer after arrival of the goods at the other customs station. Stuffing means 'loading' goods in to container or any other mode for export. 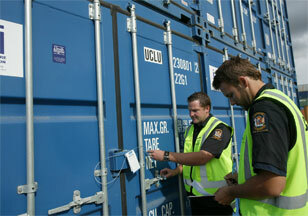 Once after moving cargo to Container freight station or load port, the cargo will be unloaded in warehouse. Once after completion of customs clearance procedures, the carrier loads the cargo to the container to move final destination mentioned in the shipping bill. Stuffing takes place, if the exporter move empty container to their factory for loading goods for export. Wherever you find the word 'stuffing' in export trade that means 'loading' of goods. Up to this point in feed production great care has been taken in the manufacturing and materials handling of aquafeeds. 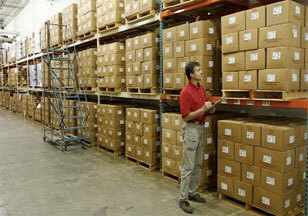 Similar care must be taken in the warehousing and shipment of the final product. Storage should always be on a first-in, first-out basis.